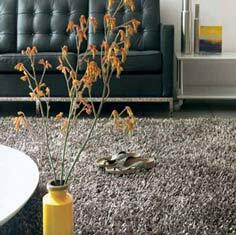 Metallica rugs are another type of sparkle rugs with a difference, these rugs use the same polyester pile but the yarn is flat and wide this gives a lace sparkle effect. Metallica rugs are hand woven in India to a high standard, the rugs weight is 3500gr/m2. Metallica rugs can be custom made to your required size.